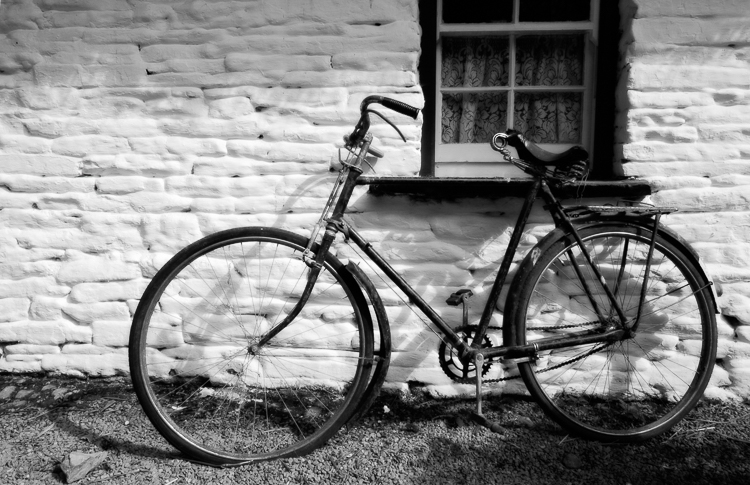 Just as a postcard scenery this bicycle leaned against the wall of the ancient farmhouse in the Bunratty farm park. In black and white it looked even more antique than in color. A motif made for tourists.